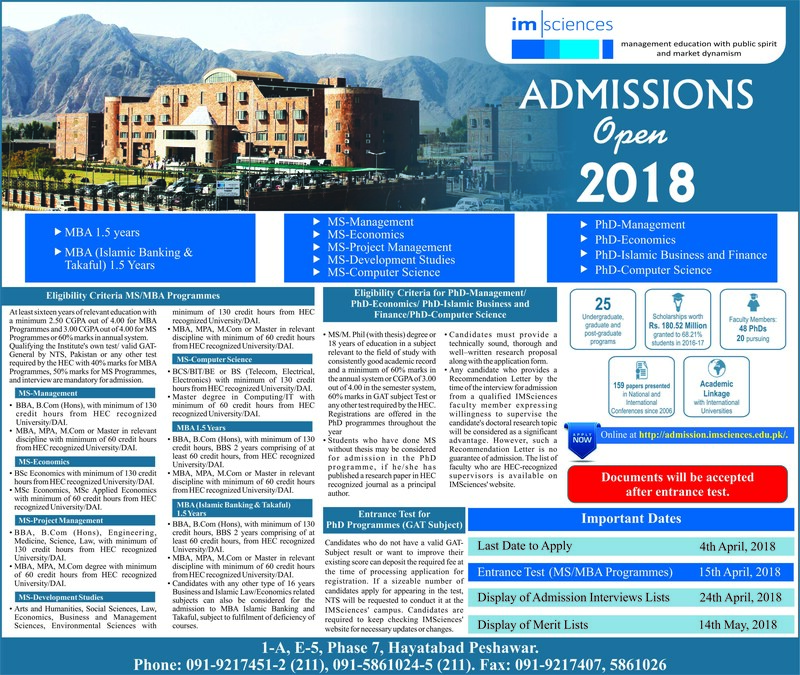 The Institute of Management Sciences, based in Peshawar, Khyber Pakhtunkhwa, is a young, innovative, and enterprising business school en route to compete with the foremost management schools of the country. 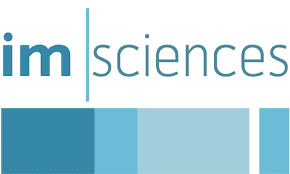 The Institute is dedicated to its unique approach (at least in the region) of providing management education based in cutting-edge research and comprehensive training. Unlike conventional academic institutes, IMSciences broadens its educational focus in response to new trends in the developing field of management. Based on the social values of integrity, honesty, professional excellence and a broad vision of life, the Institute aims to provide educational experience that transforms its students into business leaders at par with international managers, executives, and entrepreneurs. Since its inception in 1995, the school’s academic rigor and avant-garde approach to management education have produced alumnae that shape the world of business at regional, national, and international level. Presently, the Institute is offering a range of courses, undergraduate programs, and graduate degrees in the fields of Management, Computer Science and Information Technology, Planning and Policy Analysis, Banking, Finance and Accounting, Marketing, Health Service and Hospital Management, and Local Government and Public Enterprises. The enrichment of academic programs over the years, the establishment of Liberal Arts Program, and the construction of our new inspiring, and state-of-the-art campus have provided us with a great platform to build upon and we aim to transform the Institute into a full-fledged top-notch university.